That would make so much sense to me! If Apple IOS to work on Samsung Galaxy S8 Phones were to show up in a press release, I buy one in a heartbeat! I could get a Galaxy S8, load up iOS, all my apps, music, and photos just as I do on my iPhone 8 Plus. I get to finally choose the hardware to use in my Apple world! Wouldn’t it be nice if we could pick the hardware we like to go with the ecosystem we like? Then, we’d all finally get the best of both worlds: we’d get the excellent Apple ecosystem including iMessage, the App store, iTunes, iCloud, and terrific usability running on hands-down the very best hardware that we can choose from. Hardware that is embarrassingly ahead of Apple in virtually every respect. And, the hardware divide is getting wider with each new hardware cycle. Apple needed to be in the hardware business back when they introduced the world to the very first iPhone and iPad, but the world has changed a lot since then. Many have caught up with and surpassed Apple in the area of design implementation, and screen technology. Apple doesn’t need to keep trying to do it all anymore. Do they? Apple remains unmatched in the software, and their so-called ecosystem. They should seriously consider coming to a partnership with the leading smartphone hardware makers before they lose serious market share to Android, not to mention credibility. Apple really misses Steve Jobs right about now to be sure, but it’s beginning to look like a real stretch to differentiate and innovate for all the phone makers these days. Even Mr. Jobs would have trouble taking it from here in hardware, I suspect. Cameras, screens, and better battery life are pretty much the drivers along with faster networks. Let’s face it, the Asians made the investments to manufacture this stuff a long time ago and they are really good at it. The Apps, the systems, and better integration into newer parts of our lives are where the true value is in smartphones. Content and content management are where we still have so much green field ahead of us. The 8 and the X are merely playing catch up. As I sat and watched Tim Cook and his merry band introducing “new” and “exciting” products and proclaiming them the best ever…I was disappointed. Again. The mystique and the loyalty are being tested more than ever. The 8 and the 8 Plus are merely 7s and 7s Plus models, at least that’s how I see them. 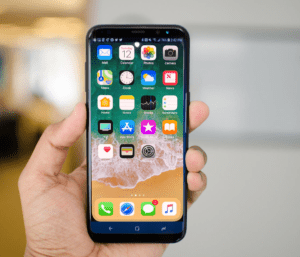 The X is only just catching up with the lovely OLED screen technology of several powerful competitors, and frankly, the animoji and face-scanning security aren’t gonna justify this phone for me personally. I sense weakness. And, I believe others do too since Apple stock is sharply down just days after the big reveal at Steve Jobs Theater. One solution is simple: Keep doing what you do best Apple! Innovate and design and evolve the systems and the integration and the content! Let the hardware become the commodity that it is becoming. Steer the hardware makers with great ideas and Application tools and keep focused on the future. Why not let us choose our smartphone hardware? Do what you do best and leverage what other companies do best. Why Are Harley-Davidson’s So Popular Among Police?